NubianPlanet.com is already the leading Black social network with aspirations of becoming one of the world’s major top social networks, as they have pointed out countless times the importance of Black social networking. The message is clear and others are following pursuit. Is Moor Us going to be a leader in Black Social Networking? Moor Us is going to be a new social media application that targets a black audience.The creator and founder of the website is Tariq Nasheed, who is a prominent black voice online and has done a popular series called Hidden Colors. He expresses the need for his network and has received funding from an audience who is desperate to get off of white media and find a place they can actually call home. Facebook has been known in the past for changing content posted by Black users on their website as Mark Zuckerberg has explained that this is unacceptable behavior. 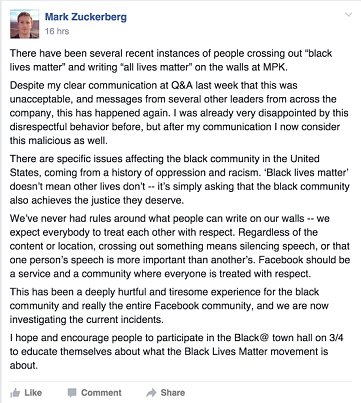 After the big stir, Mark Zuckerberg posted an apology to his Black Audience and even revamped his Facebook label after his employees were changing Black Lives Matter to All Lives Matter on his website. He explained that racism by Facebook is not tolerated. No disciplinary action has been confirmed for the websites negligence. Moor Us aims to do what Nubian Planet set out to for quite sometime which is lift up the awareness for a relevant Black Social Network platform that is constructed for Black people and controlled and trusted by Black people. Nubian Planet expresses gratitude and are happy that their message has been heard. They say they will help to promote this venture in anyway they can and have expressed that success is necessary because Black people need more relevant Black Social Networks. These guys are so excited about the launch of this website, that they have even begun another empowerment group to help support Moor Us! “The success of any Black social network or media that gathers Black people together in a positive manner is necessary and cannot afford to fail. We welcome any Black social network sites to join our effort in the Black Social Networking Movement,” says the founder of Nubian Planet. Tariq Nasheed explains the impact his website is making and though it is not finished, he anticipates a huge turnout when the site is finally up and running. Excitement has spread across the internet and Nubian Planet is helping to spread more excitement about it.